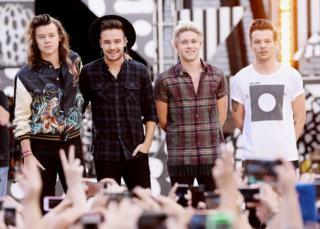 A 16-year-old fan’s ‘lung collapsed’ after she screamed too much at a One Direction concert, an emergency doctor told the BBC. The girl became short of breath during the concert but continued cheering “because she was a super fan”. When she attended the hospital straight afterwards, they found air had leaked into three different anatomical spaces. Published in the Journal of Emergency Medicine, it’s the first time a case of this kind has been documented. Dr J Mack Slaughter treated the girl, (who remains anonymous) at the Children’s Medical Centre in Dallas: “Her oxygen levels were fine. She didn’t look like she was seriously ill,” he said. He found a tear in the lung had caused air to escape in three places: between the lung and the chest wall, into the chest cavity and behind the pharynx. The combination of these three diagnoses hadn’t been seen before, Dr Slaughter said. He said this leakage of air is “typically caused by an exciting event”, such as during an asthma attack, heavy weightlifting, diving or military flying, due to the sudden changes in air pressure. Screaming or singing causing it is so rare, that Dr Slaughter could only find two other case reports. One was a drill sergeant while the other was an opera singer. While it’s possible the condition was pre-existing, he said this is very unlikely. With a history of Type I diabetes, the team also tested her to ensure this wasn’t causing her fast breathing rate. When this was ruled out, she was kept overnight. X-rays were taken again to make sure the air wasn’t advancing: “It was stable and safe to send her home,” Dr Slaughter said. The body typically reabsorbs the air and the tear can repair itself, he said. “I never saw her again. I told her she’d be famous and get to go on the Jimmy Fallon show and meet One Direction but she was too embarrassed,” he said.